This super easy Belgian waffle recipe takes 10 minutes or less to mix and are by far the easiest and tastiest Belgian-style waffles I’ve come across. 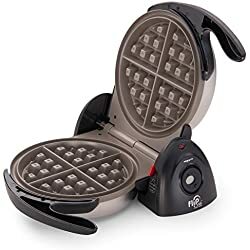 Before I discovered these, I didn’t even really consider myself a waffle person. Many of the basic recipes I tried were a little cakey. 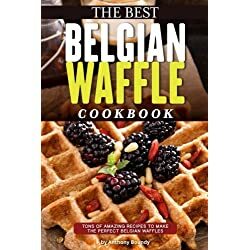 These Belgian waffles are light, airy and have a rich flavor that works exceptionally well as a sweet or savory meal. They also turn out beautifully. What you ask is the secret to these waffles? Yeast. Keep reading. There is zero reason to be intimidated by the yeast. There are no fancy techniques or kneeding involved here. The yeast just helps make these light and tasty and also allows you to stick these in the fridge overnight. If you’re not the make ahead type (I’m not) you’ll just need to let these rise for about 90 minutes before you’re ready to roll. 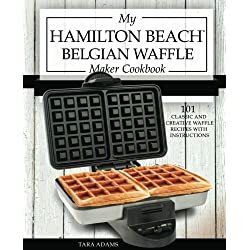 The super easy Belgian waffle recipe below was adapted from recipes from King Arthur Flour and the New York Times. To bring eggs to room temperature place in a bowl and with warm tap water. Replace water as it cools. Let butter cool half a minute if it is still bubbling after it is melted. 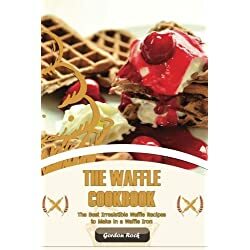 If you are adapting this recipe and adding bacon, berries, chocolate chips or what have you be sure to use extra oil when you grease your waffle iron. Combine all dry ingredients in a large bowl, leaving room for mixing and later, room to rise. Add in all wet ingredients. Cover bowl in plastic wrap and let rest in a warm spot for 60-90 minutes. Super Easy Belgian Waffle Recipe – Cover and let rise in a warm spot. At this point the mixture will be bubbly and frothy. 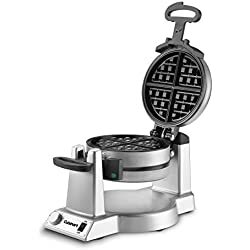 You can either make your waffles now or refrigerate overnight and cook your waffles the next morning. Mix the risen batter gently to combine. Super Easy Belgian Waffle Recipe – Pour the bubbly batter to coat your waffle iron. Close the lid and bake for the recommended time for your waffle iron. Mine recommends 4 minutes but I usually only need 3 and a half minutes. Serve immediately, keep warm in a 200-degree oven. 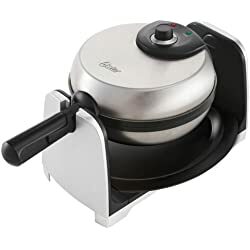 Or you can let these cool and serve at room temperature…I know this sounds crazy but once cooled they remind my family of crepes and make a fantastic vehicle for sandwiches. Top with maple syrup, whipped cream, berries or whatever you desire. Check out the video up above for a more detailed visual reference of our super easy Belgian Waffles. 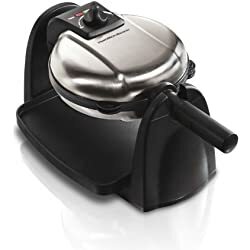 If you’d like to get up to date on the Best Belgian Waffle Makers don’t hesitate to check out our article here. 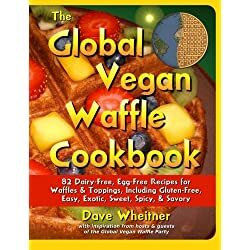 Similarly, if you want more than just one waffle recipe we’ve got a round-up of the top Waffle Cookbooks here. Let me know if you have any questions or concerns in the comment section. I’m happy to help!